The Rev. 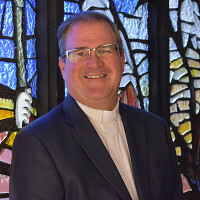 Dr. Jonathan Doolittle has been serving Clairemont Lutheran Church / Iglesia Luterana since 1998, first as Associate Pastor and later becoming our Senior Pastor in 2008. Originally from Columbus, Ohio, he received his B.A. in Psychology from Wittenberg University. 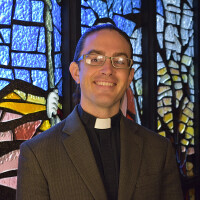 After answering God's call to ministry, he received a Masters of Divinity and later a Doctor of Ministry from the Lutheran School of Theology in Chicago, IL. Jonathan is married to Holly, and they have three children. He enjoys golf, good food, and attending his children's sporting events. The Rev. Nathan Allen has been serving as our Associate Pastor since 2014. He oversees youth, family and Spanish ministries. Originally from the Los Angeles area, he received his B.A. in Communication from Trinity Lutheran College in Everett, WA. After answering God's call to ministry, he received his Master's of Divinity from Pacific Lutheran Theological Seminary in Berkeley, CA. Nathan is married to Dámaris, and they have two children. 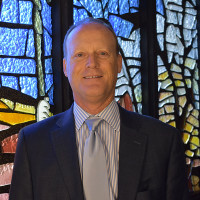 Dr. Steven Gray has been our Organist and Director of Music Ministries for more than two decades. Originally from Illinois, he earned Bachelor of Music degrees in both piano and organ performance from the University of Colorado. He later went on to receive a Masters degree from the University of California, Santa Barbara, and a Doctor of Musical Arts from Stanford. Additionally, Dr. Gray is a professor at both Palomar College and Point Loma Nazarene University. He is married to Nancy, a retired music teacher. 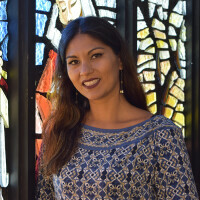 Angela Jackson has been a part of Clairemont Lutheran Church / Iglesia Luterana nearly all of her life. A San Diego native, she grew up in the church and continues to be an active part of many ministries. As the Ministry Assistant for Administration, Angela handles all of the important behind the scenes details that keep the church running. She can also be seen regularly assisting with communion and Altar Guild, and also singing or playing the flute at worship. Angela is married to Otha, and is a proud motorcycle riding grandma. 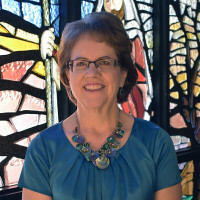 Katy Lundeen has served as the Director of Youth & Children's Choirs for more than five years. She studied at Colorado State University. Her passion for music education led her to co-found the San Diego Chapter of the Choristers Guild. She also organizes a highly popular summer music camp, produced annually since 2006. Katy’ s Youth Choirs have participated in festivals regionally and nationally. A renowned vocalist, Katy has won top prizes in many vocal competitions, and has also sang at Carnegie Hall. She also sings with our Sanctuary Choir. 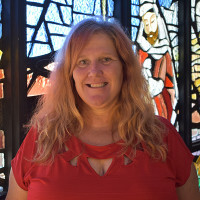 Alex is the newest addition to our church staff, and currently serves as our the Director of the Campanile Ringers, our Handbell and Chimes choir. 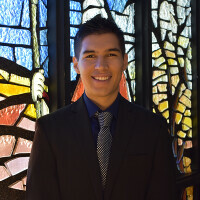 He also plays piano and organ for our Servicio en Español. Alex holds an Interdisciplinary Baccalaureate degree from the University of California at San Diego, with an emphasis in Music and Computer Technology. Dámaris is married to Pastor Nathan Allen, and they have two children. 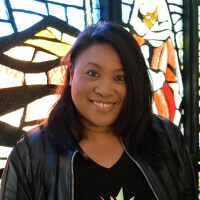 Ruthie Inacay is a new addition to our church staff, serving as Director of Youth Ministries. She brings with her 20 years of experience working with youth. Ruthie creates an engaging learning environment for young people to further personal growth in their Christian walk. 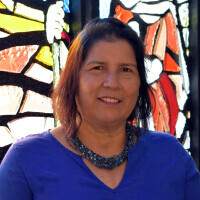 Born in Chicago, Ruthie spent most of her childhood in the Philippines before returning to the U.S. She later served as a missionary to the Philippines. She holds a Bachelor's from Brandman University and a Master's from the University of San Diego. She is currently pursuing a Doctorate in Marriage and Family Therapy. Ruthie enjoys cooking, singing, and art. 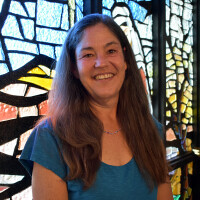 Lisa is our director for Children's ministries, which includes Sunday School and Vacation Bible School. Originally from Orange County, she's taught pre-school in San Diego for the past 23 years. She holds a Bachelor of Arts in Child and Family Development from San Diego State University. Lisa is married to Ron, and the two enjoy hiking, gardening and spending time with their two dogs. Maria has been a part of our congregation for more than two decades, and has served as a nursery attendant for many years. She also assists with coffee and other hospitality items for our Sunday morning worship gatherings to help make our church campus a welcoming place for all. 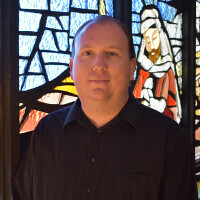 When he is not working in television news, Eddie McCoven assists the church with all things media related, including photography, managing our Social Media and web presence and assisting with various audio, video and information technology needs. He regularly helps lead congregational singing for our Celebration Worship and from time to time, plays piano and organ for our Servicio en Español. Eddie holds a B.A. in Communication from Pacific Lutheran University in Tacoma, WA. His hobbies include watching current and classic films and documentaries, craft beer and billiards. From left to right: Janet Wood, Bev Couey, Harriet Carmona, June Anderson, Harriet Morris. Contact or call the church office to get more information on Women's Minsitries and how to contact a group leader.